Hi friends! Welcome to Confessions of An Adoptive Parent. We (Mike and Kristin Berry) and our amazing team strive to encourage moms and dads along this unique journey of foster and adoptive parenting. We have been married for 19 years and parents for 16. All 8 of our children joined our family through adoption. We fostered for 9 years and have had 23 children come through our doors. Our newest adventure is grandparenting. We are convinced that grandchildren are the greatest joy in this life! Our central focus is the health and well being of our children. In order to create a nurturing environment for our children to grow, we must be healthy as parents. 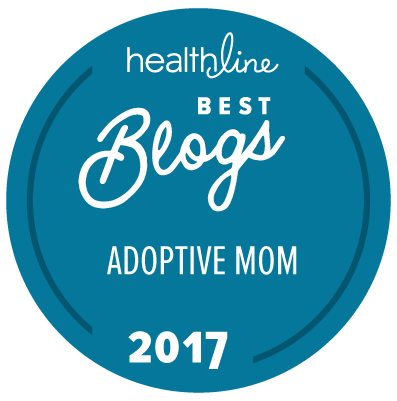 As we have traveled this road of foster care and adoption, we have come to realize that we are better parents when we are surrounded by a supportive community. We believe in the restoration and preservation of families. We believe in the biological family unit, and desire to lend resources and encouragement to families who need support. We recognize that sometimes children cannot thrive within their family of origin. All children deserve permanency and stability in a forever family. We believe that with support, foster and adoptive parents can guide our families toward healing, security, and healthy identity. We are committed to sharing our story honestly and openly in the hope that families like ours will feel the strength of like-minded community. When we are strong as parents, we can support our children well. You can get our latest posts delivered straight to your email inbox by subscribing! As a thank you for joining, we’ll also send you a free copy of our eBook, The Weary Parent’s Guide to Escaping Exhaustion: A Realistic 9 Day Plan to Finally Get the Rest You Need. If you’d like to connect in person, you can also sometimes find us speaking at live events. With over 17 years of experience as public speakers and family consultants, we love to serve other families with our story. You can schedule us to speak at your event or find an upcoming event near you by visiting our speaker page. We love to share honest stories and experiences on this blog. The number of parents we’ve interacted with over the past year have made it all worth it. We also know that many folks have great content to share. However, we do not accept unsolicited guest posts for this blog. We get many requests to share full posts or excerpts from some of the posts we’ve written. It’s truly one of our biggest honors! We would love for you to share small excerpts from our posts. You don’t even have to ask permission. We ask that you quote us directly or tag this blog to your excerpt. You can even use the Confessions Facebook page as a means of referencing us. If you want to re-post one of our posts in its entirety, please email us for permission. Again, we really appreciate you checking out Confessions of an Adoptive Parent. We hope you leave here feeling supported, understood & certain that you are not alone. Each month, over 100,000 unique readers from 45 different countries visit this site. That means there’s a whole army of adoptive & foster parents right there with you on the journey. It’s great to know that we’re all in this together, so please take a moment to connect with us through email or on social media. We would love to get to know you! And don’t forget to sign up for our email updates so you don’t miss a moment of our crazy confessions. Here’s to you! And to a little more hope for families on the foster or adoptive journey.